Last year when we had the fence put it in, we opted to have a television set up outside and hook it up to cable. That meant we needed something to store it in that could weather the elements. 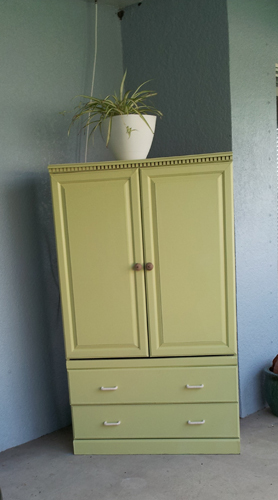 I did not want to spend a lot of money on it, so we found this simple armoire at a local thrift store for a mere sixty bucks, and that was probably too much. 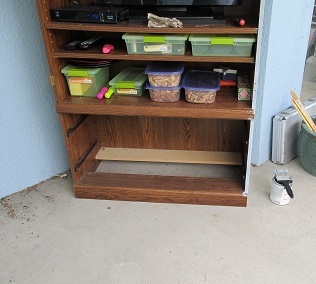 It is particle board and covered with cheap plastic wood veneer. I knew the trick was to make it look like it belonged outside and not like we pulled a trailer park move and brought indoor furniture outside. Of course, it had to be done as cheaply as possible and with little effort. 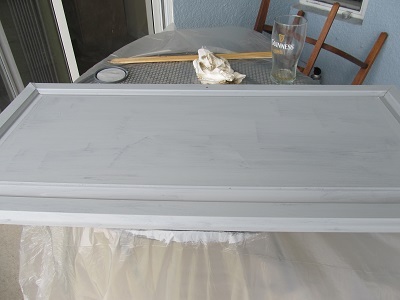 So I started by priming it with an indoor/outdoor primer. 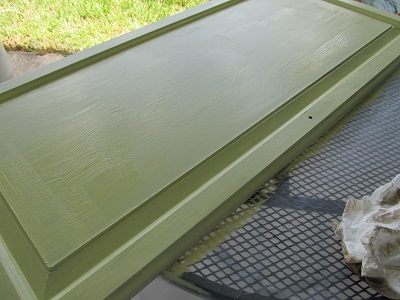 I found some left over exterior paint, the same green as our front door, and decided to use it. It ties in with the colors of the house and was practically free. It seemed like the right approach. The armoire had these really tarnished traditional looking drawer pulls and door knobs in definite need of replacing. They screamed indoor style, so I changed them out and added the rope and burlap pieces instead. I thought they had a more rustic, country look and feel. 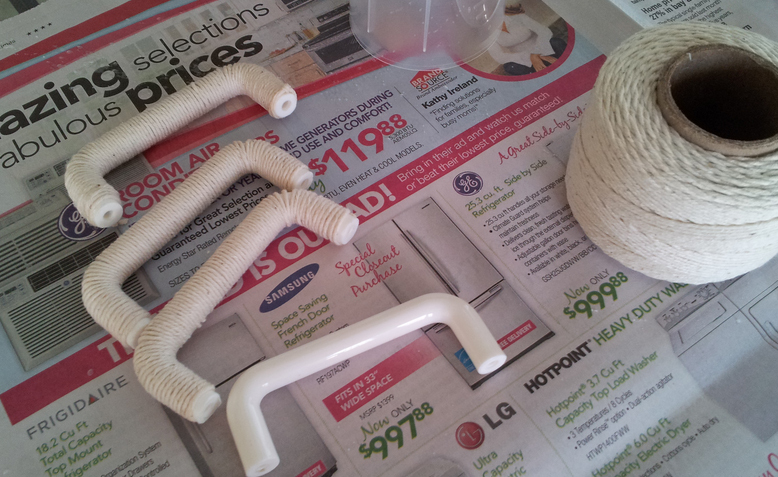 Not being able to find the rope handles, I resorted to making them. So, for $1.45, I purchased the six handles and then wrapped them with a cotton rope and secured them with a heavy duty adhesive. The piece sits back, protected a little from the elements but with a really good Florida rainstorm anything is possible. To protect it a little more, I’ll seal it with a new product called Never-Wet. It was featured on the DIY blog and has gotten rave reviews, so I thought why not try it. The jury is still out on it, so look for an update later. Now, to just finish the rest of the outdoor space. I’ll be adding outdoor curtains, and hanging citronella candles to keep the bugs away this fall. Yes, while the bugs die off up north come Fall, the skeeters are very much alive down here in my back yard, and I am their favorite treat.